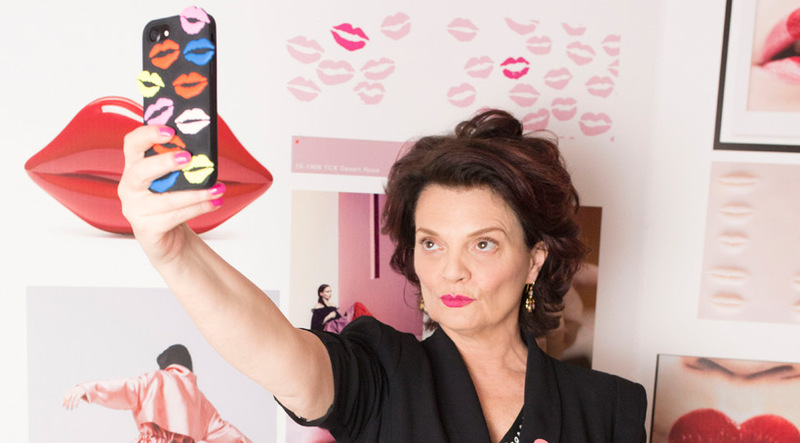 Spot a lip-shaped handbag or a lipstick-kiss icon and you’ll probably think of one name immediately – Lulu Guinness. 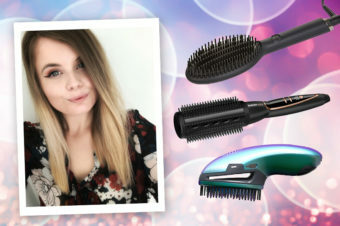 The British designer with a wonderfully vintage vibe fuses fun and glamour with ease, and now it’s possible to get your hands on a little bit of Lulu thanks to a charity-boosting collaboration with hair styling giant, ghd. 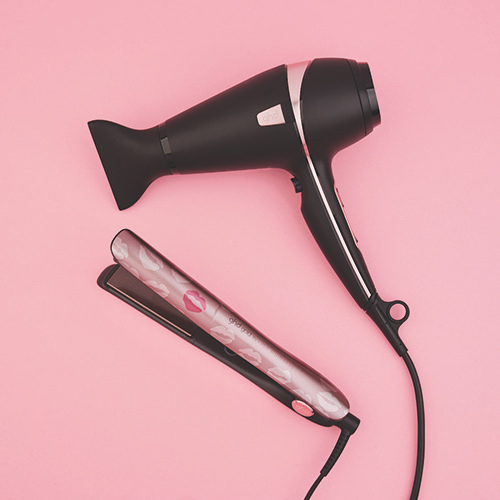 This summer, there’s a red hot limited edition ghd x Lulu Guinness collection, featuring Lulu’s iconic lip print on the new ghd gold styler (£139) and ghd air hairdryer (£99), with £10 from every purchase going to Breast Cancer Now. 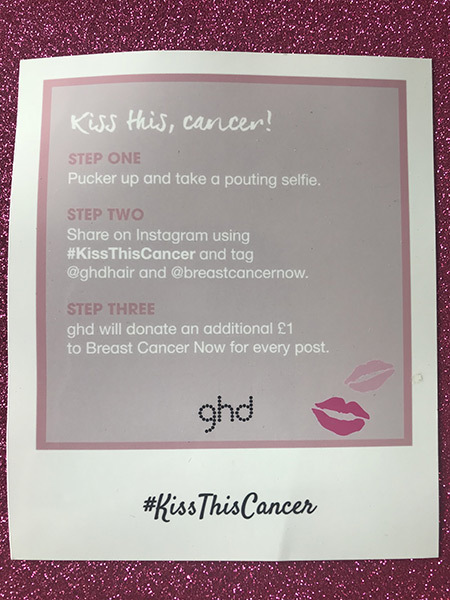 There’s been a long-standing collaboration between ghd and global breast cancer charities, with more than £10 million raised over the past 14 years. Sadly, such funds are still very much needed – breast cancer is still the most common cancer in the UK, with around 55,000 women now diagnosed every year. One in eight women can expect a breast cancer diagnosis in their lifetime. Layered Online was lucky enough to share a very lovely breakfast with Ms Guinness to chat about the ghd partnership, and find out a bit more about her personal sense of style, too! You are known for your rather retro, vintage vibe – which decade is your favourite for style? 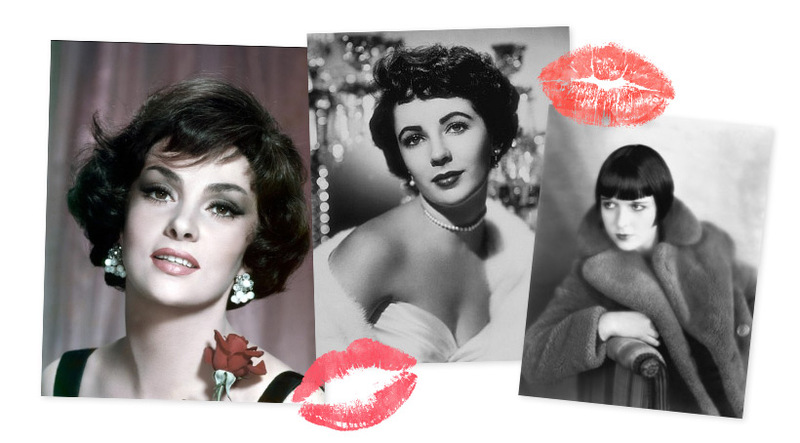 Do you have iconic hair heroes when it comes to your style inspiration? “We went through the creative process together, it wasn’t just a case of putting lipson anything! I want things to look a particular way and I spent a lot of time looking at all the different pink effects. I wanted to do something subtle – which I know is NOT what I’m known for! – but I just wanted something pretty. 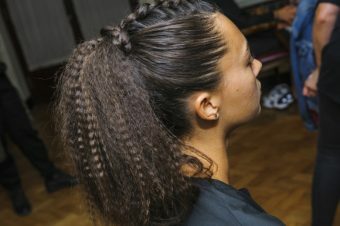 “I think there’s a soft mood around now, and my feeling was to try and make a hard styler into something a little softer. If you have had something terrible happen to you, like breast cancer, it can define you and even take you over. You are so ‘in it’, that often you can’t see the wood for the trees. There’s a little black cloud over you.